Venezuela's Maduro regime announced on Thursday that it is barring opposition leader and National Assembly leader Juan Guaidó from holding public office for 15 years, AP reports. 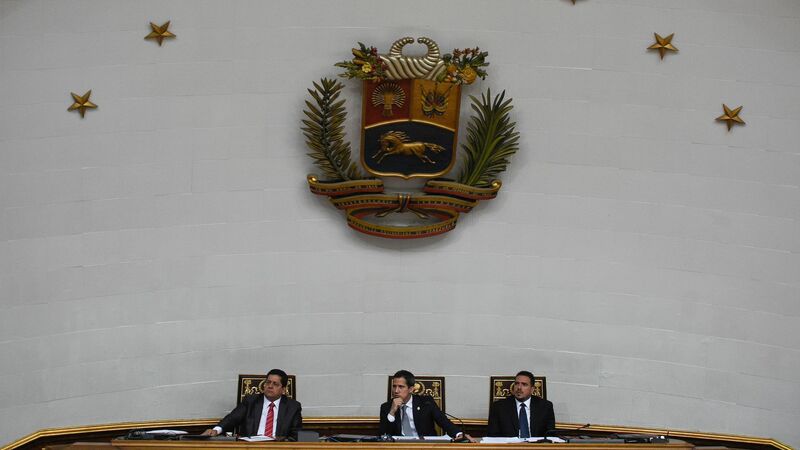 The state of play: Per AP, the Venezuelan government cited alleged irregularities in Guaidó's financial records as a reason for his removal from office. Guaidó was reportedly under investigation by the government earlier this month for an alleged attack on Venezuela's power grid. The big picture: The Trump administration has repeatedly called the physical safety of Guaidó, who has yet to respond to Maduro's announcement, a "red line." Sen. Lindsey Graham told Axios in January that Trump mused to him about the possibility of using military force in Venezuela.